Emigrated to Australia aged 24. Employed as a grocer. In ever loving memory of our dear son George (Pte GW Fields). Killed in action at Gallipoli October 26th 1915. We think of him in silence no eye can see us weep. But ever to our aching hearts his name we keep. We never thought his time so short in this world to remain. When from our home he went away he thought to come again. 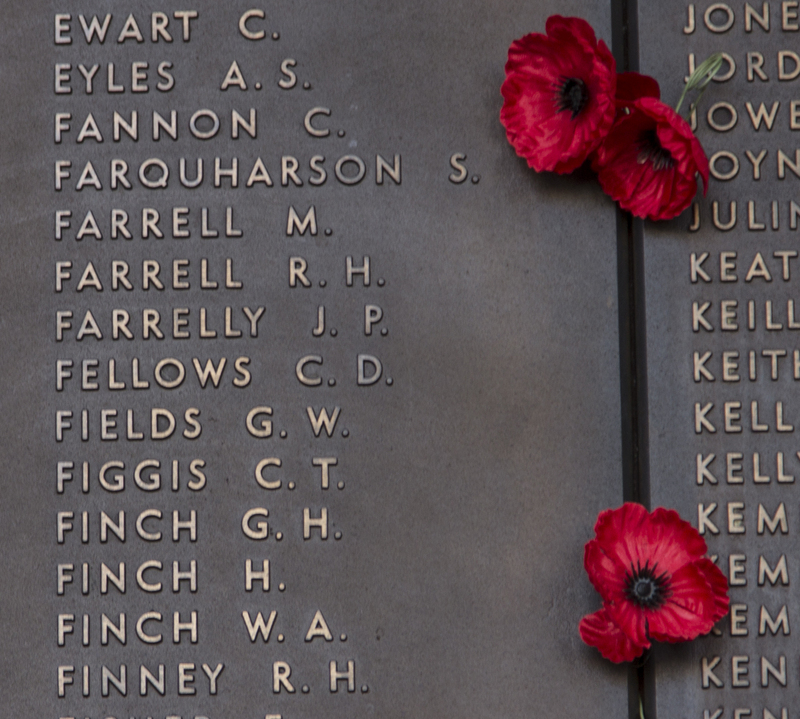 Fields service record is available on line at The National Archives of Australia. His service record shows that he sailed aboard the HMAT Kyarra from Australia on the 17 Aug 1915. He joined his battalion on the 12 Oct 1915 at Gallipoli. 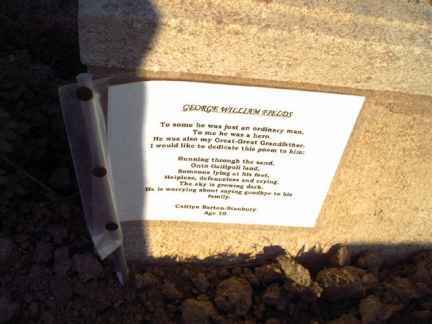 He was killed and buried on the 21 Oct 1915. His personal effects are list as just: "Rifle shot register" and a dictionary, Disc, Notes Books (2) and a letter. These were returned to his wife on the 3 July 1916 via Thos Cook and Son. 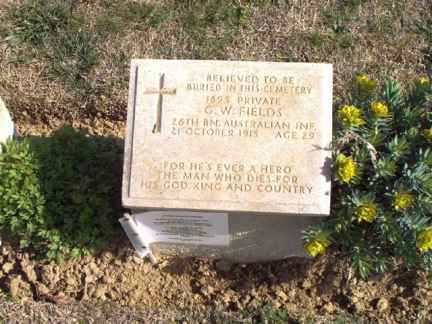 In 1924, Field's wife was informed that "I very much regret having to advise you that the Imperil War Graves Commission has been unable to identify the site of his final resting place in the 7th Field Ambulance Cemetery, ANZAC. Unfortunately at this juncture no proper means of identification are available to assist the exhumation parties in the locating the grave, as the Commission has accordingly arranged to proceed with the erection of a permanent headstone tablet, similar in design to those marking identified graves, upon which will be engraved the full regimental description and date of death of the late soldier"